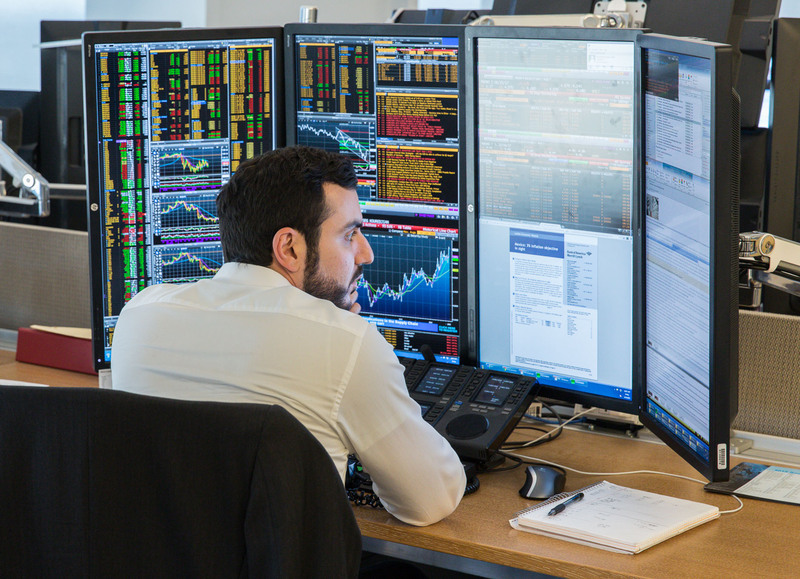 Man in office looking at technical data on computer monitors in front of him in office. Business, corporate. David Zaitz Photography.